Trimos Height Gages are known for their innovation, ease of use, and rugged design and accuracy. The gages feature a 5 Year Warranty! 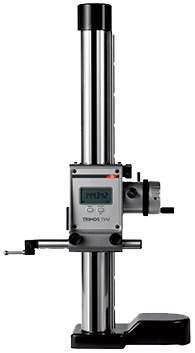 If you have a height measuring application, Trimos has a solution for you. We have been factory trained at the Trimos facility in Switzerland and have ourselves trained both customers and US representatives on the usage of these gages. The NEW Trimos V The newest arrival for the Trimos line packed with exciting new features and of course, ease of use! At Gaging.com we have helped hundreds of customers choose the right height gage for the their application. Contact us today! The NEW 54-191-440-0 Fowler/Trimos V4 Height Gage 16"/407mm 7001101004 is on sale at Gaging.com! Th.. The NEW 54-191-470-0 Fowler/Trimos V4 Height Gage 28"/711mm 7001102004 is on sale at Gaging.com! Th.. The NEW 54-192-340-0 Fowler/Trimos V3 Height Gage 16"/407mm 7001101003 is on sale at Gaging.com! Th.. The NEW 54-192-370-0 Fowler/Trimos V3 Height Gage 28"/711mm 7001102003 is on sale at Gaging.com! Th.. The NEW 54-199-540-0 Fowler/Trimos V5 Height Gage 16"/407mm 7001101005 is on sale at Gaging.com! Th.. The NEW 54-199-570-0 Fowler/Trimos V5 Height Gage 28"/711mm 7001102005 is on sale at Gaging.com! Th.. The NEW 54-199-590-0 Fowler/Trimos V5 Height Gage 43"/1100mm 7001103005 is on sale at Gaging.com! T.. 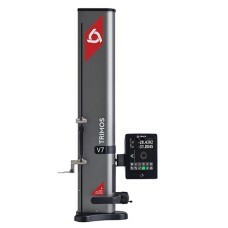 The NEW 54-199-640 Fowler/Trimos V6 7001101006 Height Gage 16"/400mm is on sale at Gaging.com! The .. The NEW 54-199-670 Fowler/Trimos V6 7001102006 Height Gage 28"/700mm is on sale at Gaging.com! The .. 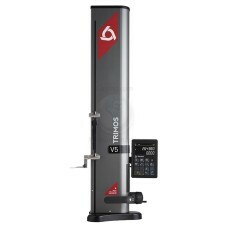 The NEW 54-199-690 Fowler/Trimos V6 7001103006 Height Gage 43"/1100mm is on sale at Gaging.com! The.. The NEW 54-199-740-0 Fowler/Trimos V7 Height Gage 16"/407mm is on sale at Gaging.com! The V7 vertic.. The NEW 54-199-770-0 Fowler/Trimos V7 Height Gage 28"/711mm is on sale at Gaging.com! The V7 vertic.. The NEW 54-199-790-0 Fowler/Trimos V7 Height Gage 44"/1110mm is on sale at Gaging.com! The V7 verti.. The NEW 54-199-940-0 Fowler/Trimos V9 Height Gage 16"/406mm is on sale at Gaging.com! The V9 vertic.. The NEW 54-199-970-0 Fowler/Trimos V9 Height Gage 28"/710mm is on sale at Gaging.com! The V9 vertic.. 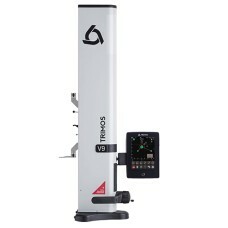 The NEW 54-199-990-0 Fowler/Trimos V9 Height Gage 43"/1109mm is on sale at Gaging.com! The V9 verti..